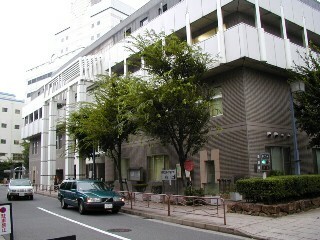 Koto-ku Kyudo Renmei, or Koto-ku Kyudo Federation, was founded in 1954 in Koto ward in downtown Tokyo. Now more than 250 members enjoy practicing kyudo, Japanese archery. People who live and work in Koto-ku and neighboring areas come to the dojo to practice kyudo, deepen exchanges, and make their life full. We kindly invite you to come and practice with us. A semi-outdoor dojo with space for five archers at a time. 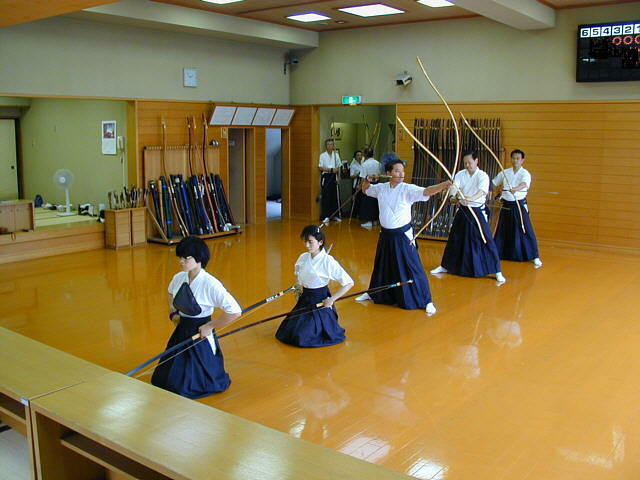 This dojo is located very close to Monzen-Nakacho station (Tozai and Toei-Oedo subway lines) and Ecchujima station (JR Keiyo line), so it is very convenient for people who practice kyudo on the way home from work. An indoor dojo with space for five archers at a time. Its air conditioning system makes it very comfortable to practice kyudo in all seasons. It takes twelve minutes walk from Sumiyoshi station (Toei-Shinjuku and Hanzomon subway lines) or Nishi-Ojima station (Toei-Sinjuku subway line). 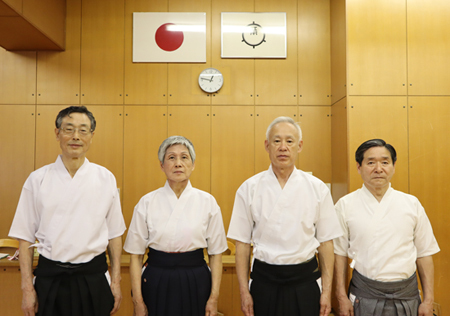 It is required to become a member of the Federation to use the kyudo facilities in Koto-ku. Practice times: morning 9:00 - 12:00 am, afternoon 13:00 - 17:00 pm, and evening 18:00 - 21:00 pm. It is always possible to visit the dojo and see our practice, but evening is preferable. 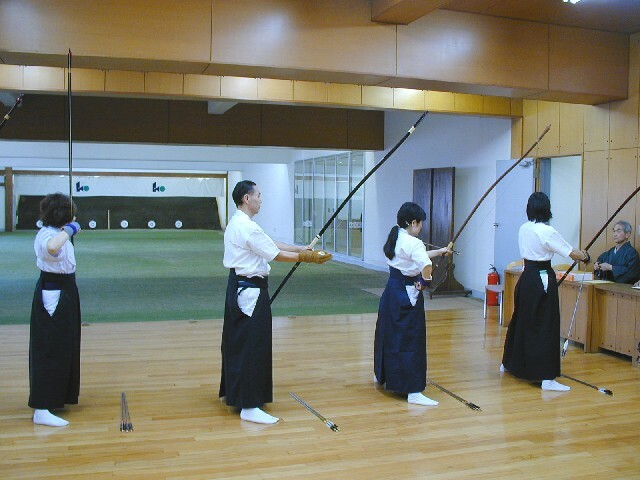 If you do not have your own bow, glove, or arrows, you can use the equipment which the dojo has for beginners. 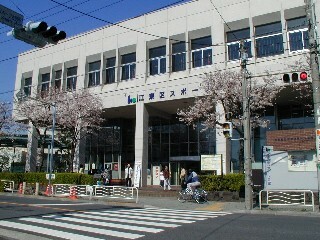 Annually there are two courses for beginners. One is at Fukagawa Sports Center's dojo in April (1.5 hours, once a week, for 10 weeks) and another is at Koto-ku Sports Kaikan's dojo in October (1.5 hours, once a week, for 8 weeks). About 20 to 30 people can attend each course with about 10 instructors. Bows, gloves, arrows, and other equipment are provided. For information on how to apply for these beginner courses, please contact to Koto Health and Sports Corporation.